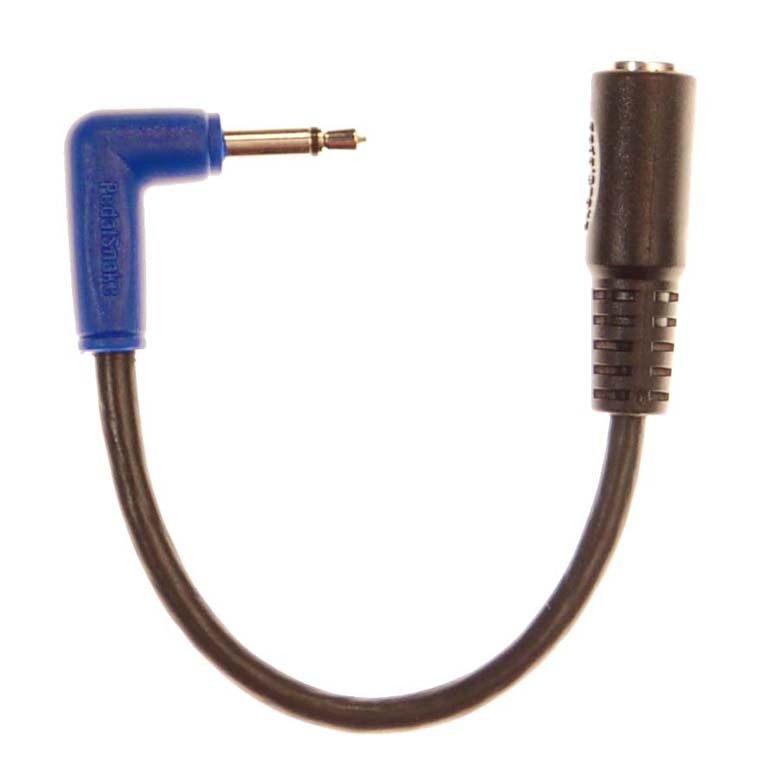 Power Plug Adapters for Pedals adapt PLine Pigtails to pedals with power connectors of sizes other than 2.1mm. 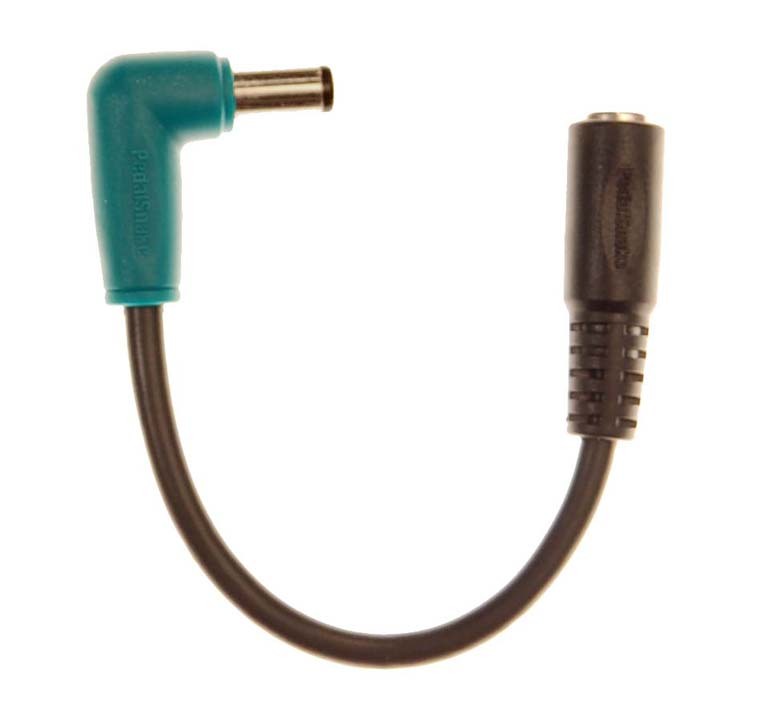 PedalSnake P-Line Pigtails have standard 2.1mm connectors (like Boss). The Best in the Biz: One adapter function each, with clear color code and all space-saving right angle plugs. 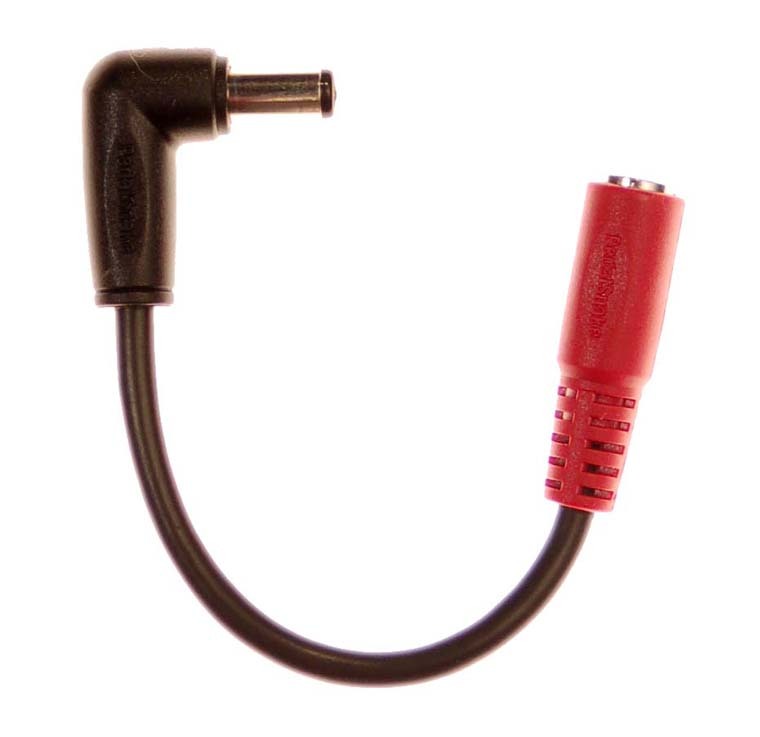 Also see PedalSnake's Power Plug Adapters, Pedals and Power Plug Adapters List, Power Plug Adapters for Supplies. 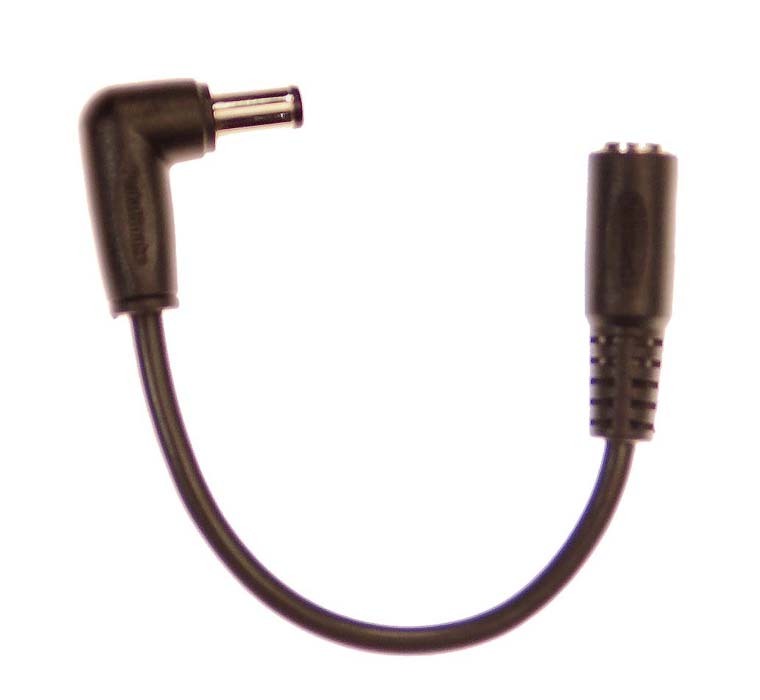 Convert 2.1mm power plug to space-saving right-angle.